Believe it or not, sleek, beautiful, and high-quality kitchen and bath products don’t always need to be shipped in from across the pond. 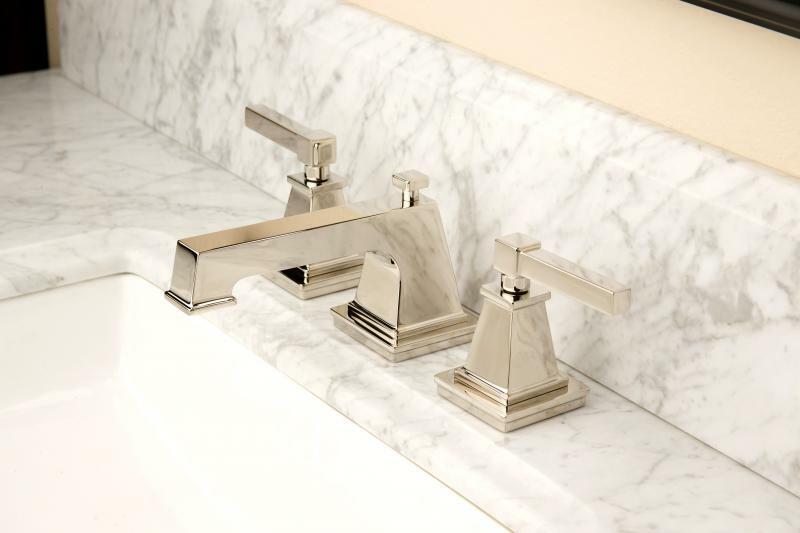 From faucets and fixtures to lighting and cabinetry, the U.S. is home to a number of companies manufacturing high-performance kitchen and bath wares that stand up to foreign standards. These companies are proud of their American roots: Viking Range, for example, was recently featured at a White House event showcasing “incredible workers and companies who make ‘Made in America’ the world standard for quality and craftsmanship,” the company says. Meanwhile, Mansfield Plumbing points out that it is “one of only three companies still operating pottery plants domestically,” and Strasser Woodenworks crafts its cabinetry and furniture exclusively from American hardwoods, including cherry, maple, red oak, and alder. In honor of Labor Day, here is a sampling of 14 kitchen and bath essentials that are made in America. The Avento vanity from Furniture Guild builds off the company’s popular Avant line. The freestanding unit features a contemporary look. 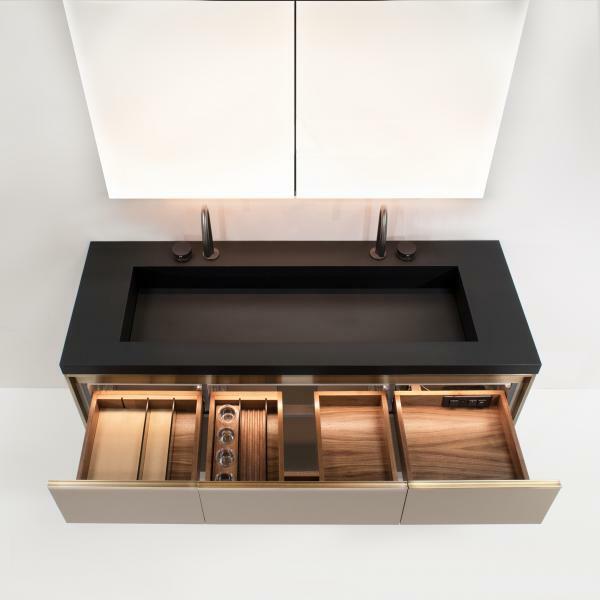 A sleek integrated bras opens the single row of drawers above an open shelf. It is available in multiple configurations between 24 inches and 72 inches, and comes in eight metal finishes and more than 50 panel finishes. The solid brass Malvinia bath faucet was inspired by the shape of smooth stucco and concrete pillars used in contemporary architecture. It comes with ADA-compliant cross or lever handles and can be specified in 27 finishes. Matching shower and tub sets are also available. The manufacturer recently expanded its Kitchen Collection with a new collection of pot fillers. 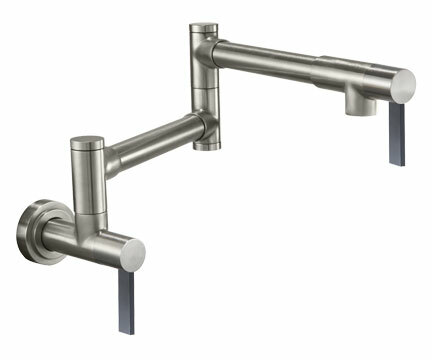 The options include one contemporary body (shown) and one traditional body, along with 37 handle designs that coordinate with existing faucet collections. The solid brass units are available in more than 30 finishes, including 15 PVD finish options. Building off of its signature collection of colorful ranges, the company has introduced a French door refrigerator in its more than 750 color options and 10 metal trims. 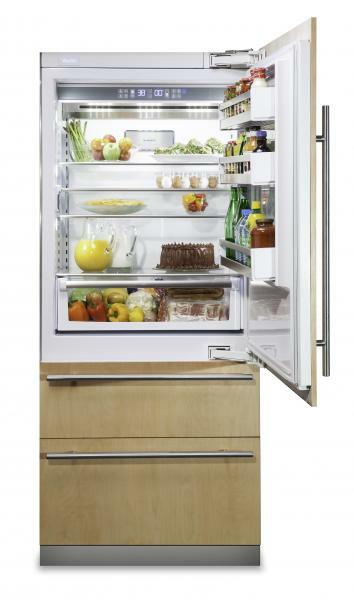 The refrigerators offer stainless steel interiors, dual compressors, a customizable interior configuration, and a fully extending bottom shelf. An articulating door hinge allows for both built-in and flush mounting. 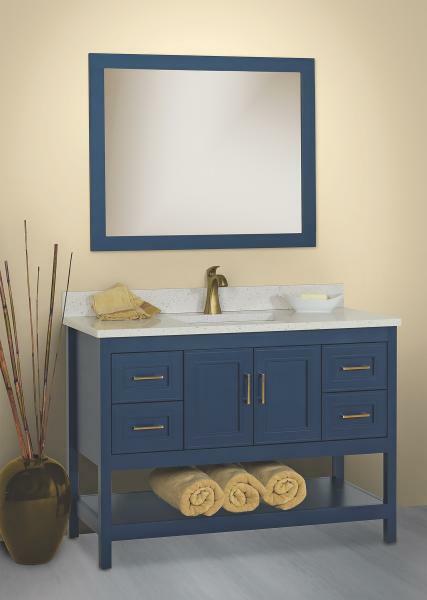 The manufacturer recently released a new blue finish for its solid wood bath vanities. Inspired by Van Gogh’s Starry Night, Lapis Night pays homage the the Renaissance- and Baroque-era pigment created by crushing the lapis lazuli stone. It is available on the company’s Alki Essence, Alki Spa (shown), Alki View, Belltown, and SoDo vanities. The Professional 7 Series of refrigeration can be fully integrated with surrounding cabinetry with no visible hinges or grills. It features Bluezone Fresh Preservation Technology, which strips microbes, ethylene, hydrocarbons, and odors inside the refrigerator for better food preservation. It also features electronic touch controls, two full-extension, soft-close freezer drawers, a temperature and humidity controlled drawer with a separate control, spill-proof shelving, a water dispenser, and Bluetooth connectivity. 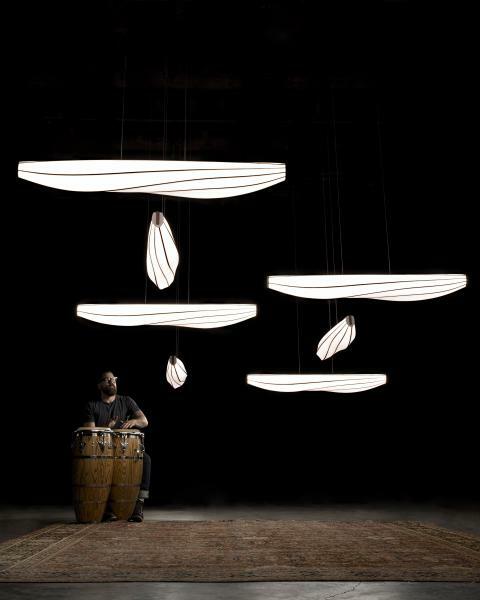 The brand’s newest linear light, the Lenis, features soft lines with pronounced curves. Paying homage to the founders’ friendship and love for surfing and sailing, the fixture is constructed of precisely bent elements wrapped in form-fitting fabric, like a boat hull. 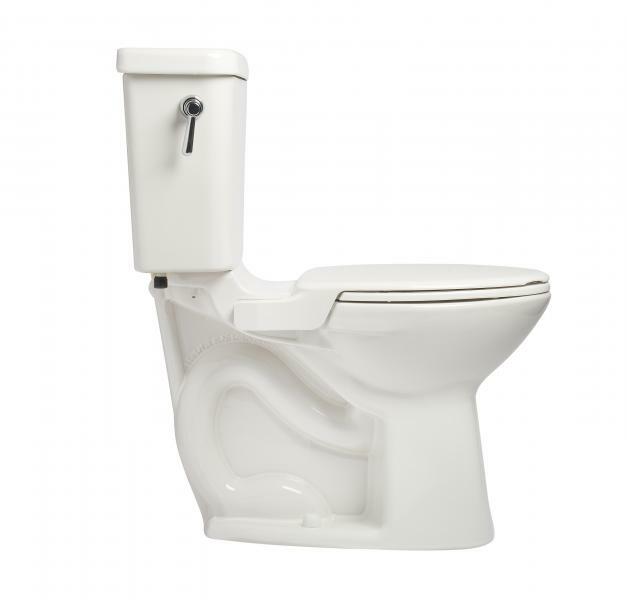 The new Vanquish toilet features out-of-the-way, side-mounted hinges and a glazed surface that makes cleaning easy. The toilet uses 1.6 gallons of water per flush, but directs twice as much water around the bowl as other low-flow toilets, the company says. It also features a SmartHeight bowl and an improved flush valve. The company has updated its WaterBridge Tub Filler, adding a single diverter that can control both the filler and an optional hand shower. The unit’s industrial aesthetic is based on the look of raw plumbing parts. It comes in deck, floor, and wall-mounted filler options, with both cross and lever handles as well as a split bamboo waterfall spout or an elbow spout design. Finishes include Rustic Nickel, Rustic Copper, satin nickel, and oil-rubbed bronze, as well as custom options. 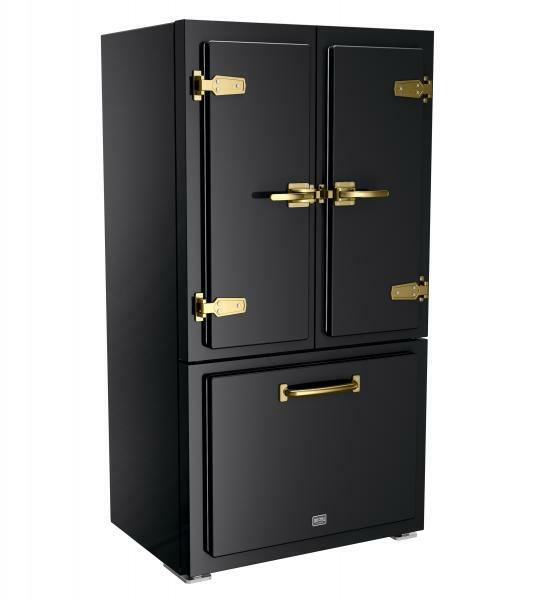 Inspired by ice boxes of the 1930s, the new Classic Fridge has a French door design in six bold, retro colors and three metal finish options. It boasts 22.3 cubic-foot capacity, an internal water dispenser, ice maker, LED lighting, and a digital temperature management system. It is also Energy Star-rated. 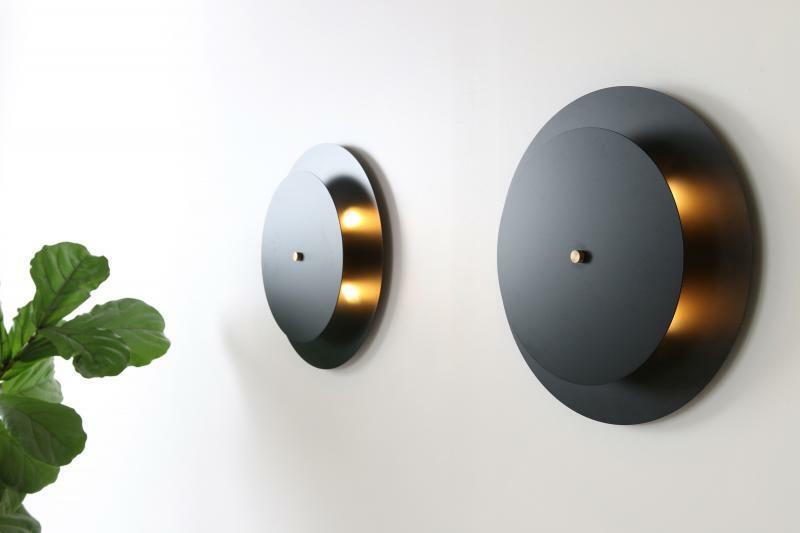 The Equinox Sconce “replicates this balance of dark and light, casting both dramatic shadows and gentle glows,” the company says. The fixture is available with either a glass front, which lets the bulbs shine through, or a metal front (shown), which diffuses the light outward. The glass is hand-rolled and the powder-coated steel plate comes in two color options. Custom sizes and finishes are available. 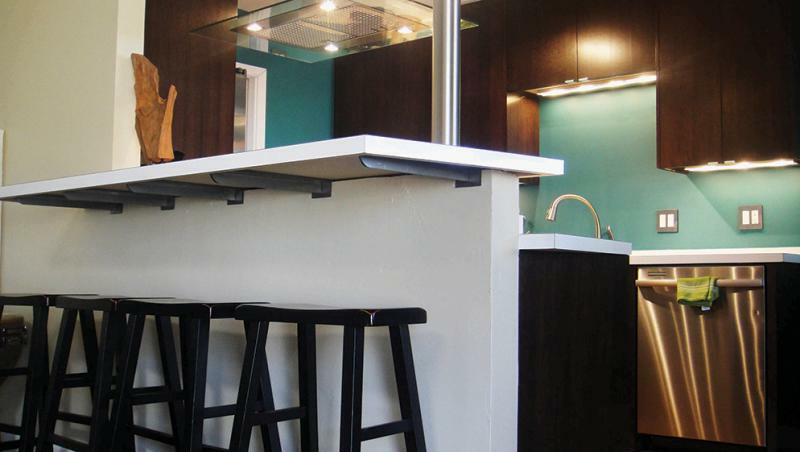 The company manufactures a number of hidden countertop supports, including the Carrier model, shown. The ¼-inch-thick bracket is designed with a small down flange and a shallow gusset for maximum leg space. The brackets come in brushed stainless steel or raw, unfinished steel. Each bracket has a carrying capacity of 500 pounds. The Serenity Light, Sound, Rain Head combines chromatherapy lighting, audio settings, and a rain showerhead to create a customizable shower experience. 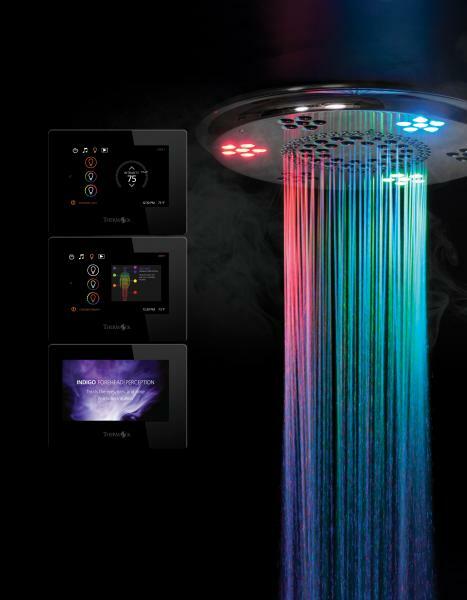 Controlled by the company’s ThermaTouch electronic shower controller, a homeowner can set mood-lighting, use lighting presets, play music via Bluetooth, and adjust audio settings. The showerhead features 82 easy-to-clean neoprene jets. 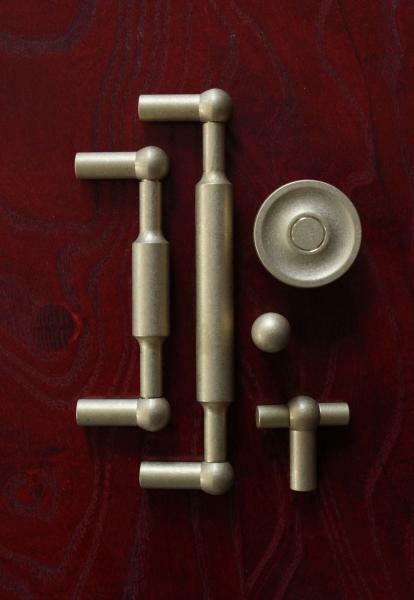 The solid brass Atlantic Hardware Collection of knobs and pulls features clean lines and a spindle shape inspired by some of the company’s early furniture designs. It is available in nine formats ranging from a ⅝-inch knob to a 14-inch pull. The collection is offered in live, un-lacquered finishes that will patina over time, including Hand Polished, Matte, and Tumbled Brass (shown).